Please welcome my fellow m/m writer, Lisabet Sarai. Lisabet is doing a blog tour for her new release, Quarantine. Now, I don't know about you, but a title like that gets me curious! Plus, it's a sci-fi. *Adds to wish list. * She's giving away a title from her backlist at each stop, which means that she's giving away a title right here on my blog! Don't forget to leave a comment with your email address for a chance to win. 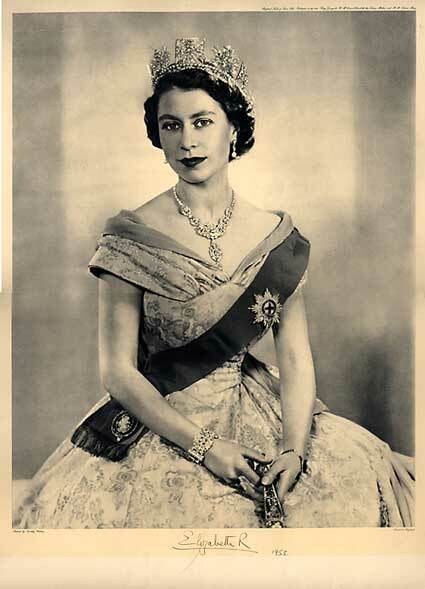 I was named after Queen Elizabeth the Second because I was born in the year of her coronation. When I was in primary school, I wanted to be an astronaut. When I watched Alan Shepard, the first American shot into space, on the black and white TV in our school cafeteria, I was overcome with wonder. I read science fiction (Robert Heinlein, Ray Bradbury, Isaac Asimov and anyone else I could get my hands on), watched the television show “My Favorite Martian”, and daydreamed about discovering new planets and alien races. Only when I reached junior high did I learn that astronauts had to be perfect physical specimens. With my coke-bottle glasses and flat feet, I wasn't going to pass muster. It never occurred to me that being female might be an obstacle. I've always written but never considered a career as a writer. My love affair with words began very early. Family apocrypha relate that I was talking at six months old. (My husband says that I haven't stopped since!) My writing files include some stories and poems I composed when I was seven years old. I wrote fiction, poetry and plays throughout elementary school, high school, college and grad school. Writing has always been my favorite mode of expression. And yet it never occurred to me that I might make my living as an author. I expected to be a scientist. My role models were Marie Curie and Rosalind Franklin, not Charlotte Brontë or Anne Rice (even though I loved their books). While I was in graduate school, I regularly performed as a belly dancer. You can see a photo of (a much younger) me in the gallery on my website, wearing a costume I sewed myself. I'd been exposed to Middle Eastern music and dance in high school and fell in love with it. Later I had the chance to take lessons and workshops from professionals. I still find it hard to sit still when someone starts playing a baladi or a ciftitelli rhythm, and I miss my zils. I've traveled to every continent except Australia (and Antarctica). My husband seduced me in a Burmese restaurant with his tales of foreign adventures. We've been traveling ever since, though financial constraints and work requirements mean that our trips are shorter and less frequent than we'd like. The majority of our voyages have taken us to Asia or Europe, but I've also visited Morocco, Peru, Costa Rica, and New Zealand. I should mention that I still have a long wish list of places we haven't been! 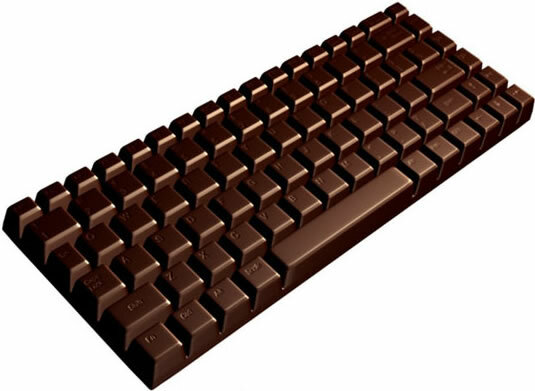 Yeah, that's a chocolate keyboard. Drool! I don't like sweets and could live my whole life without chocolate. Unbelievable as it may sound, I have very little interest in desert. I'd much rather have a second helping of the main dish. Meanwhile, chocolate makes me break out as if I were still a teenager. I don't really mind. Seriously! If all the chocolate in the world suddenly vanished, I wouldn't even notice. My favorite foods include tuna fish salad, fried chicken, and pot roast. Especially when I'm the cook! I think I lived a past life in the Victorian era. I guess this is more of a theory than a fact. As long as I can remember – long before the advent of steam punk - I've had a special attraction to Victorian architecture, fashion and literature. I dream of living in a gingerbread-ornamented “painted lady” in San Francisco, with a turret and a veranda. My high school photo shows a young woman with long hair, a long, tight-belted skirt and a high-necked, white-ruffled blouse with a cameo brooch. My novel Incognito features a Victorian subplot and I swear, writing Beatrice's diary entries from the 1880's felt as natural as breathing. I seem to have a jukebox in my head. I don't play any instrument but I probably can sing two hundred songs from memory – maybe more. A chance phrase that I hear or read is likely to set some song running in my mind, involuntarily. It doesn't seem to matter whether I like the song or not. Once the loop starts, the only way to interrupt it is to deliberately sing a different tune. I never expected to get married, but last month my husband and I celebrated our thirty year anniversary. There was so much divorce in my family, I couldn't see the point of marriage. In addition, I considered it highly unlikely that I'd meet one guy who could keep me from getting bored. Turns out I was wrong, though – and believe me, I'm very grateful! My thanks to Erica for having me as her guest. 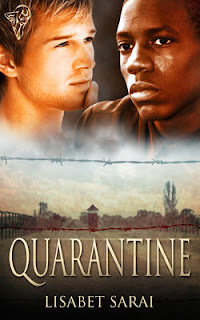 This post is part of my blog tour to celebrate the release of my M/M science fiction novel Quarantine, which will run through the 24th of July. I'll be giving away an ebook to one commenter at each stop on the tour. 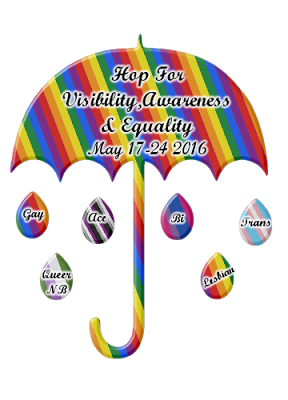 So leave a comment – and don't forget to include your email address so I can contact you! I'll also be choosing one commenter from the entire tour to win the grand prize – a $50 All Romance Ebooks gift certificate. Meanwhile, all comments at my own blog Beyond Romance during the tour will also go into the drawing for the gift certificate. You'll find the schedule for the tour in my July newsletter. 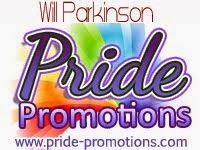 Check out my fantastic trailer here! And if you're interested in getting your own copy of Quarantine, just go to Total-E-Bound! Thanks for hosting me - and for providing both great photos and smart commentary! One correction, though. I'm not giving away copies of Quarantine in the tour, but other ebooks from my back list. However, the winner gets a $50 gift certificate, which can be from Total-E-Bound if he or she prefers. Then he or she can buy Quarantine and a raft of other titles too! And I haven't been to Iceland - yet! Is that where you are? Oops! Sorry. I'll make the correction. Thanks for interesting interview and new book.Adding to my list. Hi Lisabet! I love that you have a jukebox in your gead too!! I wake up with a different song in my head everyday :) And I took belly dancing lessons in college...tbey were so much fun! I tend to show off my skills when I've had too much to drink. I do enjoy learning more about you Lisabet! Thank you Erica for hosted Lisabet on you Blog today & Thank you to Lisabet for taking time out of your busy day to spend time with your Fans & the lovely Erica :) sharing about yourself. What a Fantastic Interview, I learned such Great things about you that I didn't know before. I just Love the Belly Dancing Photo of You & your costume is so Beautiful! I can’t wait to read “Quarantine”, Dylan & Rafe’s Story...your M/M Futuristic/Sci-Fi Action Adventure Book. I would very much appreciate the opportunity to be considered in your very generous giveaway on Erica's Blog & be entered in your Grand Prize. Enjoyed reading your interesting facts. I, too, have an issue with mind music and American Pie is the worst offender. Oh dear, there it goes now I will have to try to think of something else. "bye bye Miss American pie drove my chevy to the levee" it won't go away! Maybe some chocolate will help. Gee, thanks Nancy, now I have it stuck on my mind too, lol. Wow! This was such a great post! I am so impressed with your belly dancing and sewing skills! Thanks for the tour! That is an amazing belly dancing picture of Lisabet. My legs aren't strong enough to hold that pose, lol. Terrific post. You were very flexible, wonderful photo. That's really cool about your name. I was named after the French actress Yvette Mimeux because she was my Dad's favorite actress. We are not even French! Thanks for the interview! Wow, a belly dancer, that's awesome! My sister tried belly dancing, but since she has no belly to speak of, she evidently wasn't very good at it. Anyways, thanks again! Wow, Lisabet, that is a most beautiful picture of you. Heh, I always found Belly Dancing Entrancing. It's amazing that you were once a performer. And congrats on 30yrs together!! Thanks so much for taking the time to stop by and comment. I just got back from an overseas trip and I'm trying to catch up on the tour and the prizes at each stop. And for this stop - the winner is (drum roll please!) - Vita! 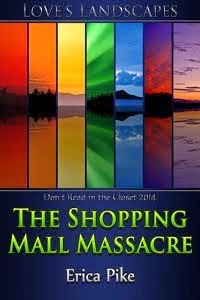 She wins a copy of the GAYMES M/M anthology, which includes my story Crossed Hearts. Congratulations! But there are lots more chances to win! I'll be checking out the other posts that came up while I was traveling, and drawing the winners, soon.